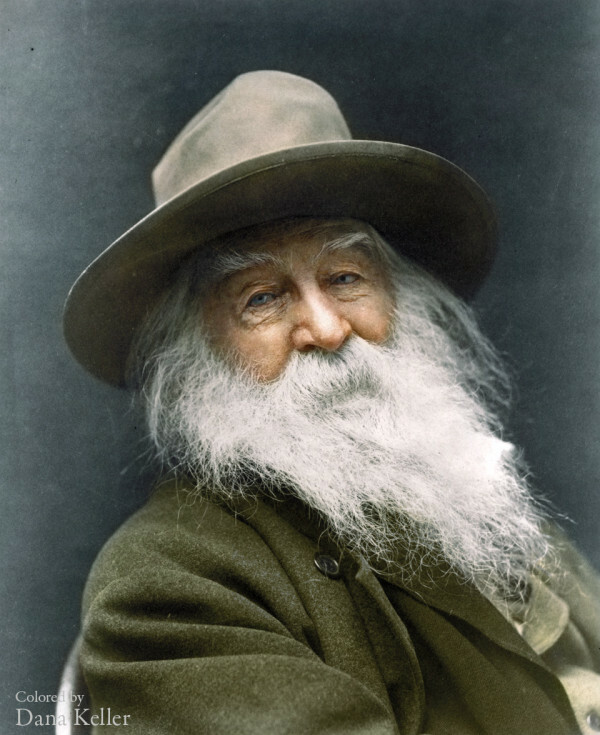 I came across this wonderfully colourized photo of Walt Whitman the other day, and was gratefully reminded of the profound declaration of his poetic philosophy. Somehow, as we ponder the scale and impact of the Fukushima nuclear disaster, it seemed timely to raise this discussion regarding our distancing from the environment. I was listening to an extensive interview with noted cell biologist and author (The Biology Of Belief) Bruce Lipton, PhD, where he described human civilization itself as a socio-biological evolutionary system of humanity. In other words, each and every one of us is, more than ever, interdependently linked within a living organism/system of humanity, and as in nature, all biological organisms must behave cooperatively within their system to survive and function. People with schizoidal psychological or mental disorders often present with 'dissociative' behaviour. 'Depersonalization' is one such dissociative adaptation, where not only is the person dissociated from their immediate environment, but within their own ego structure. In other words, 'tuning out' or 'turning off' from the overwhelming stimuli of reality can also mean disconnecting from any grounded sense of self. It seems clear to me that to comprehend the destruction of the biosphere--at our own hands--is too shattering a concept to embrace on a daily basis. It is inherently disempowering and traumatizing. Like a child in abusive conditions, the notion of losing or risking rejection by a parent (despite their abusive behaviour towards the child) is a lethal notion. Rather, in a pre-rational state, the child will deny, personalize and divert any antagonistic thought or feeling toward a neglectful or dismissive parent in the name of survival. Our current slide into global ecological collapse suggests a similar dynamic of a) traumatizing conditions; and b) denial/disassociation as a primal defense. Ecology is the study of an organism and its relationship with its surroundings. Environment is the projected identity/character we place on those surroundings. In doing so, we continue to reify the consensual illusion that the 'environment' is something outside of us altogether. Nothing could be further from the truth. We need, more than ever, to recognize ourselves, as Whitman suggests, in the face of all living creatures, in the shadow and glow of the Earth and Sun, in each others' gaze, and collectively act to make real and precious our Ecology of spirit and form.